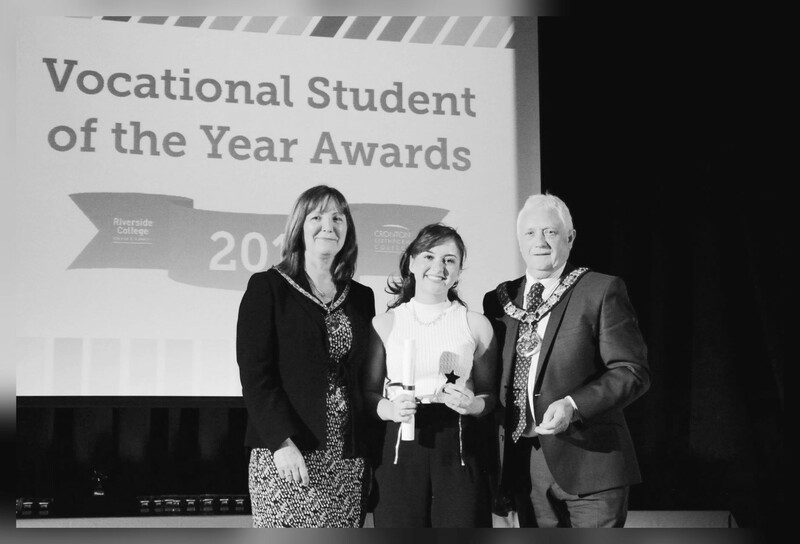 Laura Bentley, 18, was crowned Business Administration Apprentice of the Year at Riverside and Cronton College. Laura is currently based at Dow Schofield Watts and is one of 68 students at Riverside College in the Business Admin Apprenticeship curriculum. Awards were presented on the night by senior college staff and guests who included The Worshipful the Mayor of Halton, Councillor Ged Philbin, the Mayoress, Ms Rosalin Wong, Chair of College Governors, Alan Bennett and College Governor, Councillor Tony McDermott. Almost sixty awards were presented on the evening, celebrating the outstanding achievements of apprentices. Laura was nominated for her commitment, reliability and motivation towards her work within college and in the workplace environment.